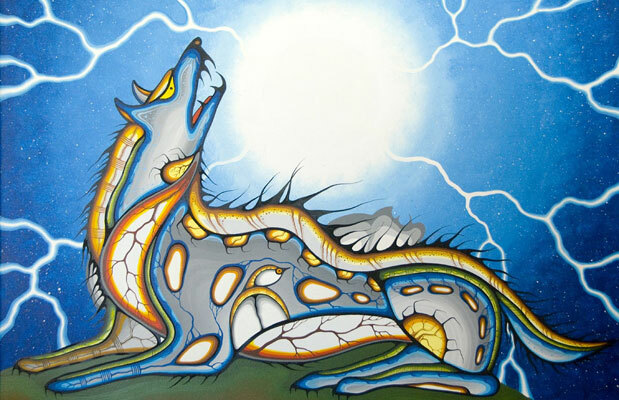 Description: Guardian Spirit Of The Wolf signed J. Jacko, acrylic on canvas 24"x36", comes framed 25"x37". Energy radiates from within the wolf and connects to the Heavens. Power is born. SEE Jacko's other paintings on our Outsiders page.